It’s always nice to add a little extra decor if you host a party. 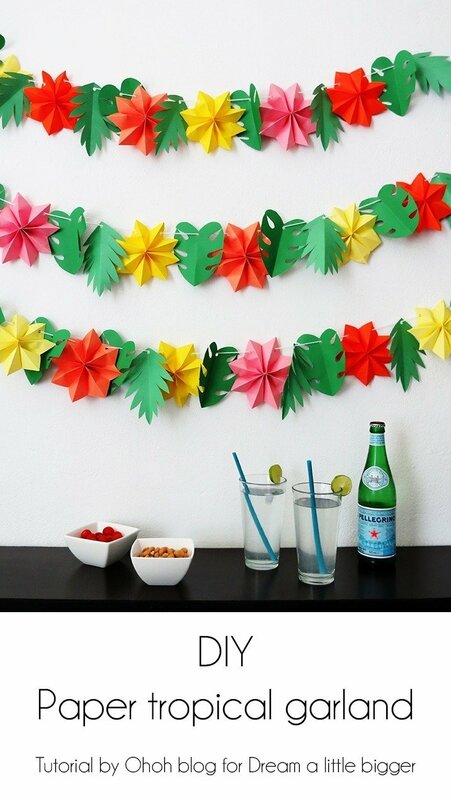 One of the simplest things to do, is hanging a few garlands around. 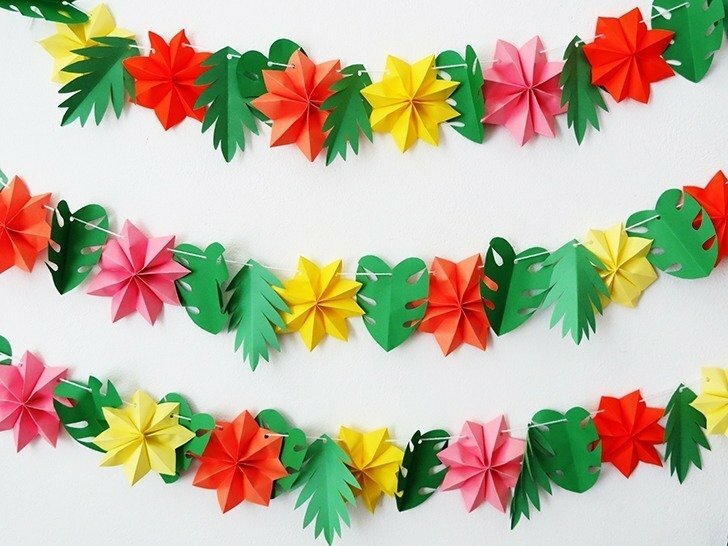 Today I will show you how to make a fun tropical garland with paper. 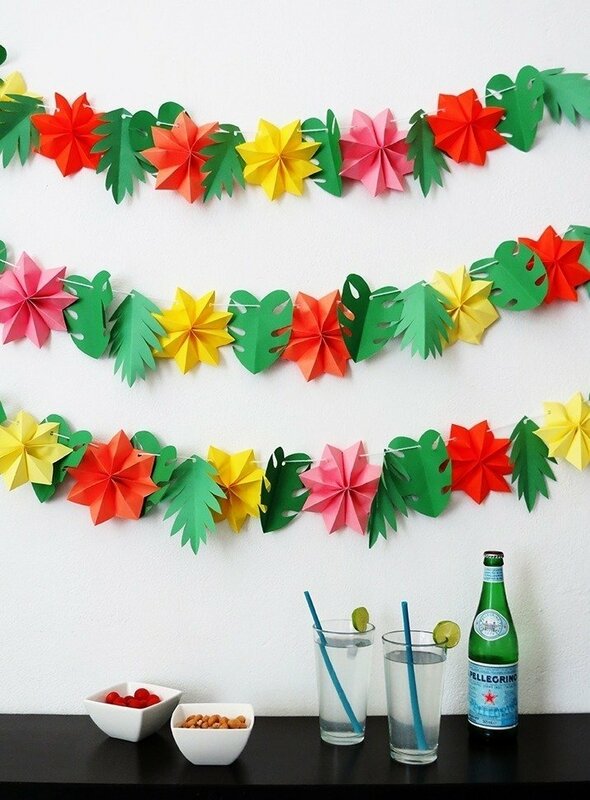 Made of colorful flowers and tropical leaves, it’s the perfect decor for any summer party! 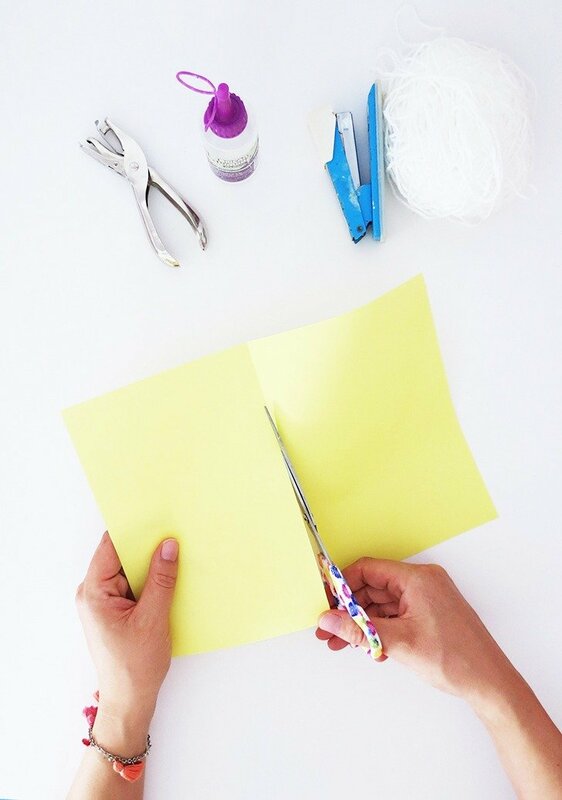 Material you will need: colored paper sheets, some glue, a pair of scissors, a stapler, a hole puncher, and some yarn. 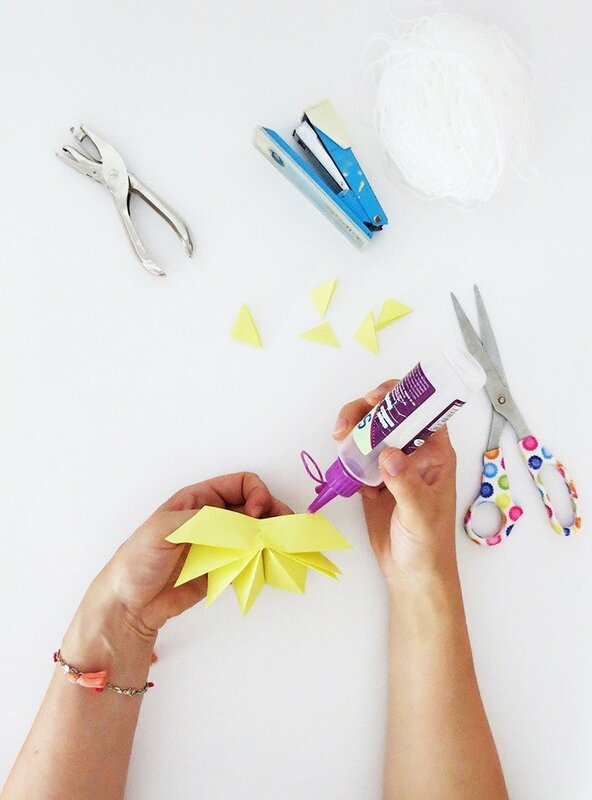 Let start by making the flowers. 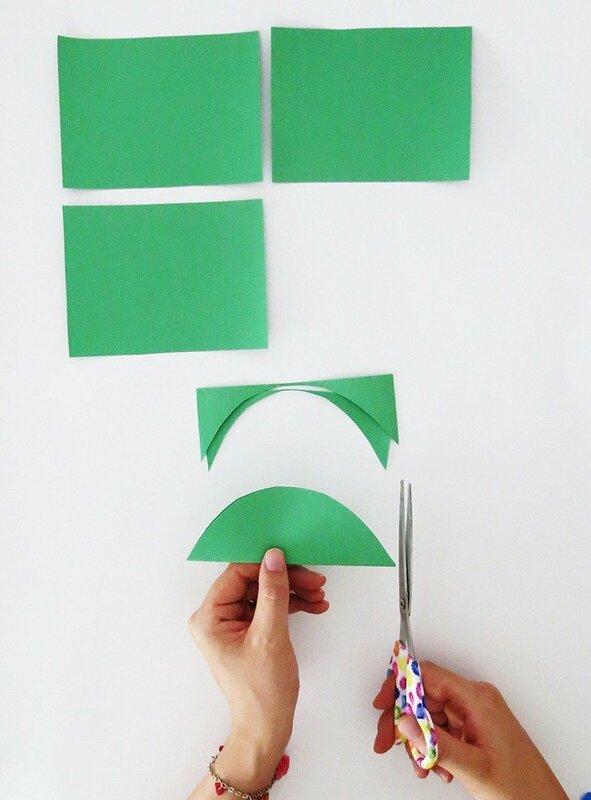 Grab a paper sheet, fold it in the middle and cut it in two equal pieces. 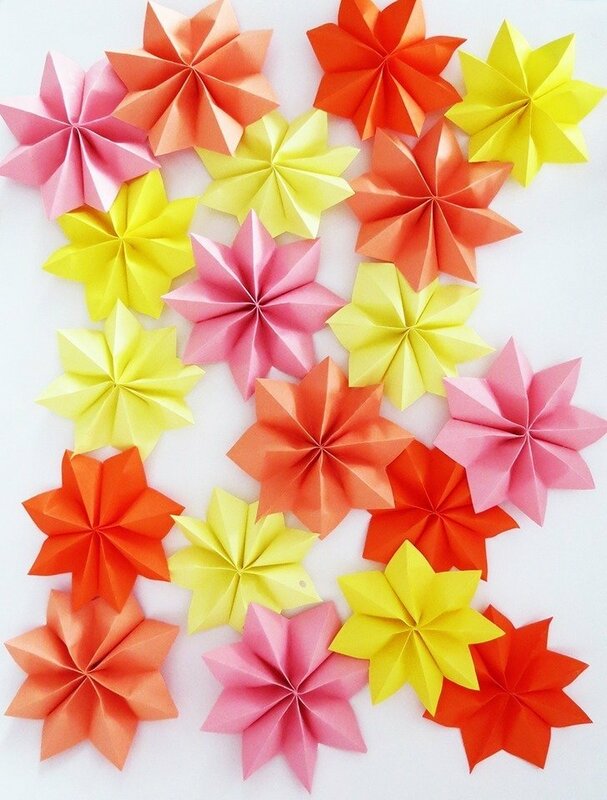 You will need one half sheet to make each flower. 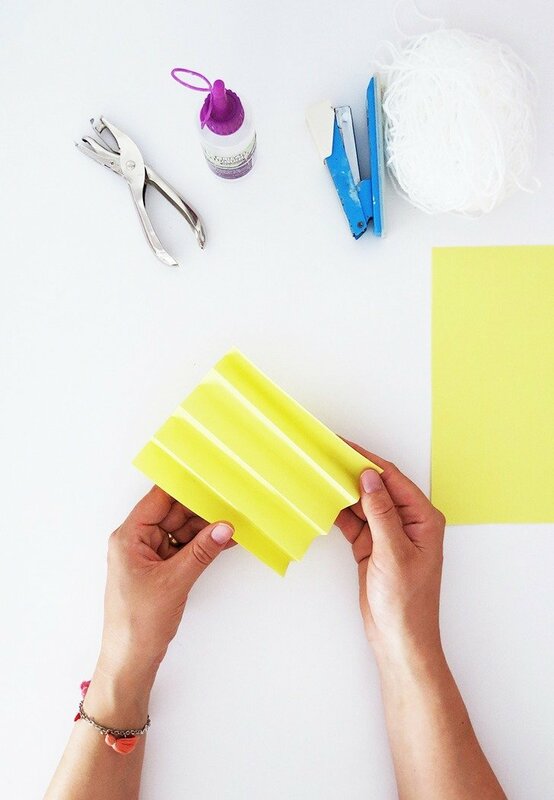 Fold the small side of the half sheet in eight equal sections to make an accordion fold. Attach the center of your accordion fold with a staple. 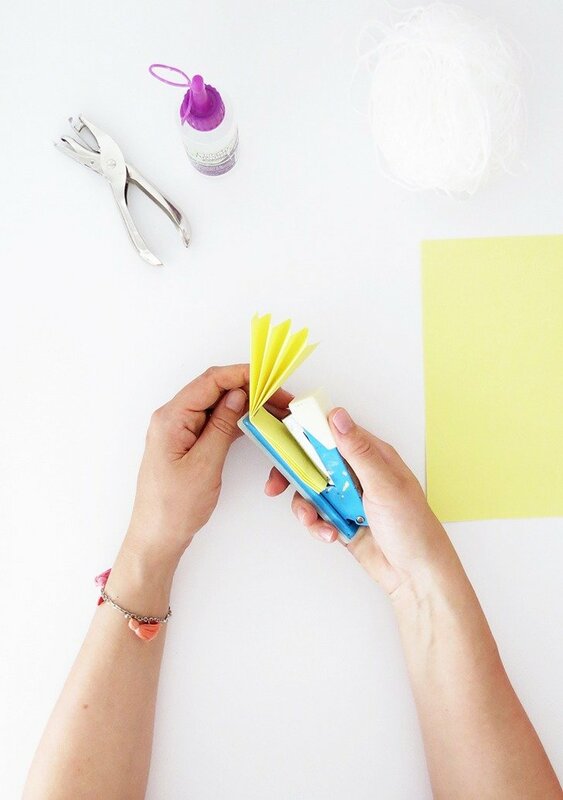 Cut each end of your paper to make a tip. 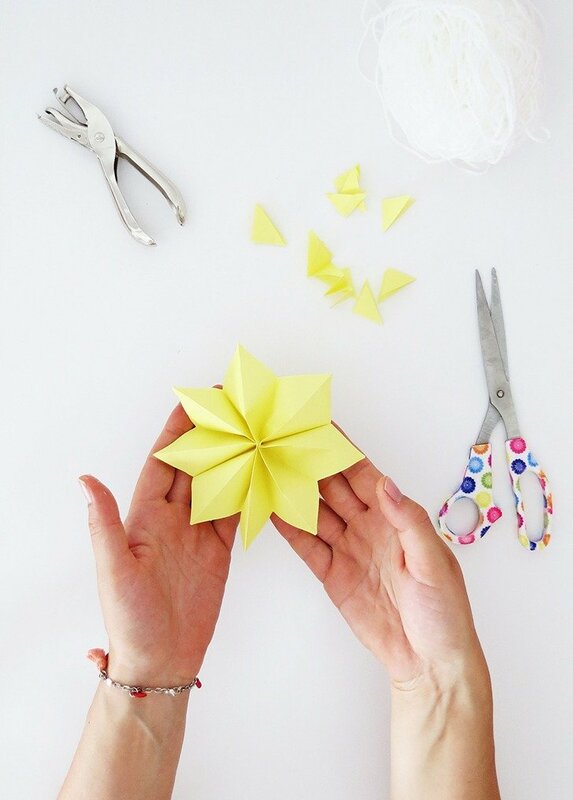 Open the folds and glue the edges together to create a flower. Punch two holes in the top of the flower to be able to pass the yarn through it. Repeat to make a all bunch of flowers in any color you like! 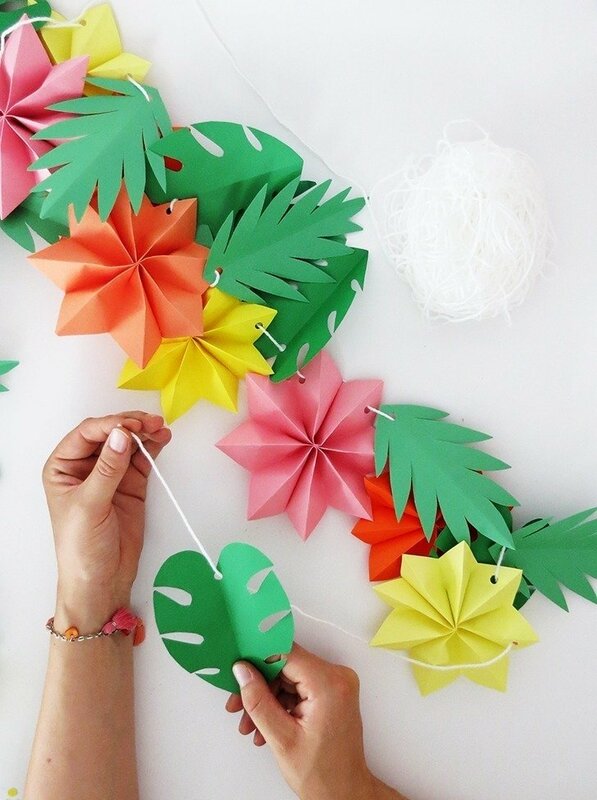 Time to make some leaves for our garland! 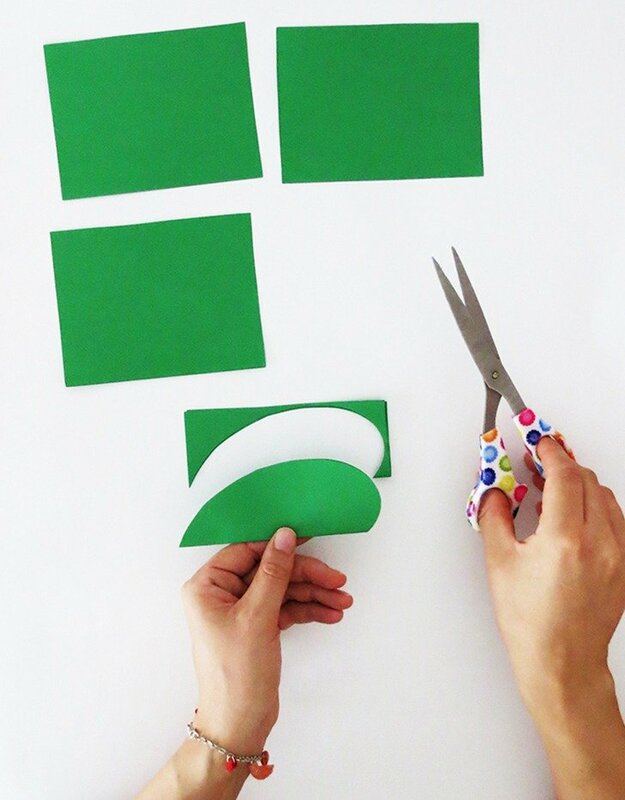 Take a green sheet and cut it in four pieces. 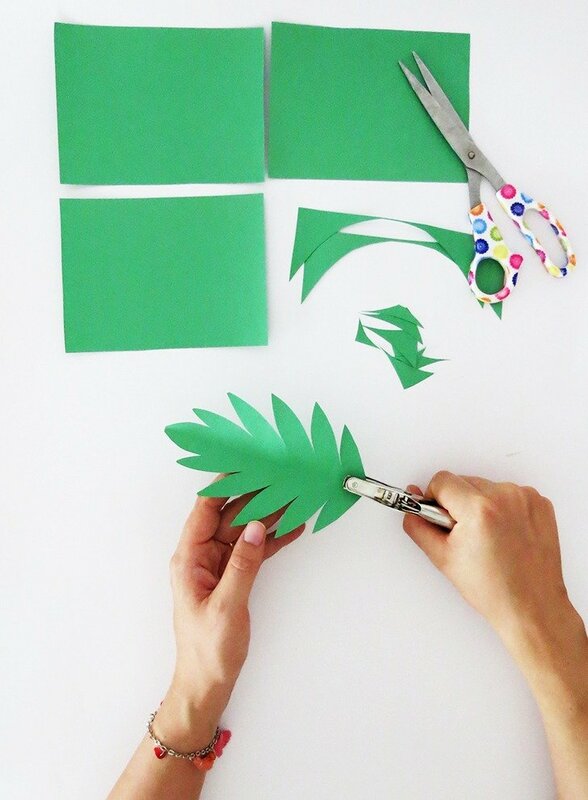 You will use one part of the sheet to create each leaf. 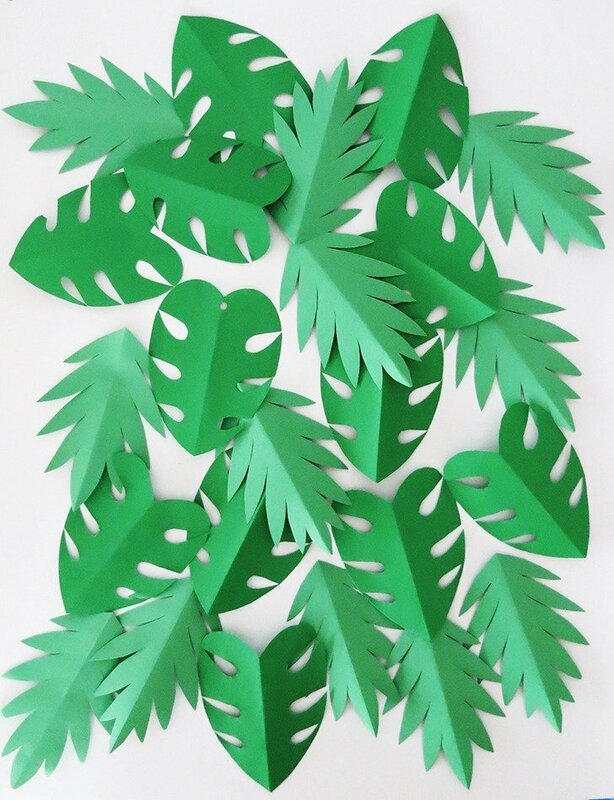 Lets start by making some Monstera leaves. Take one rectangle, fold it in the middle lengthwise, and cut a half heart shape in it. Starting from the edge of the leaf, make a few cuts with a water drop shape. Open the leaf, and punch a hole. Now you can also make some fern leaves. 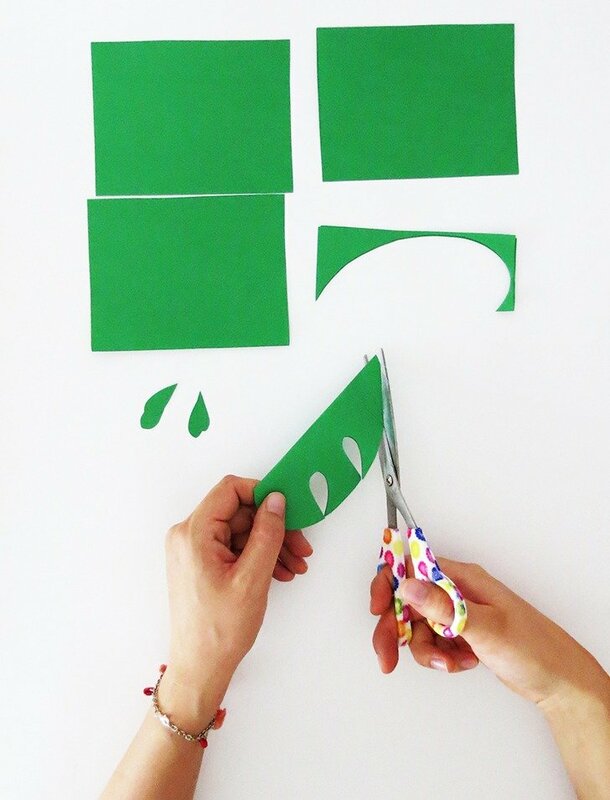 Again, take a green sheet and cut it in four. 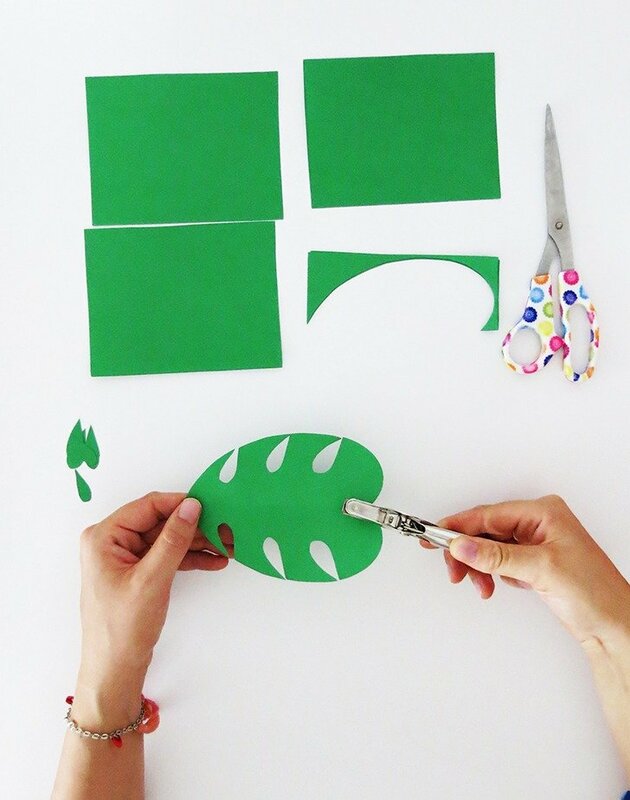 You will use one part of the sheet to create each leaf. 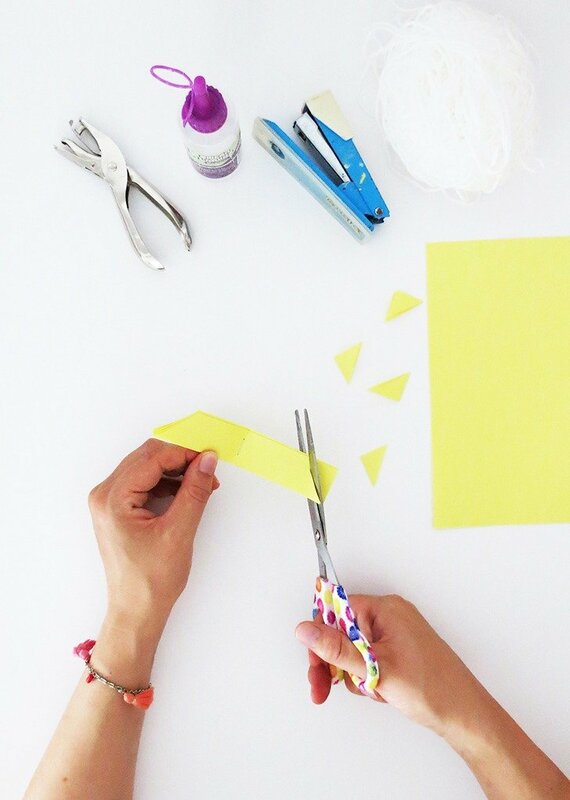 Fold the sheet in the middle lengthwise, and cut a half eye shape in it. 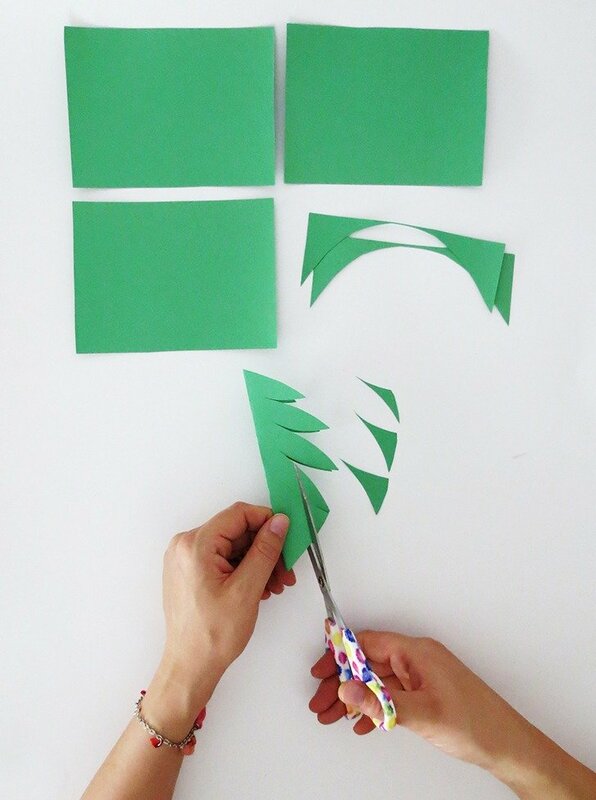 From the edge, cut several notches to create small leaves. 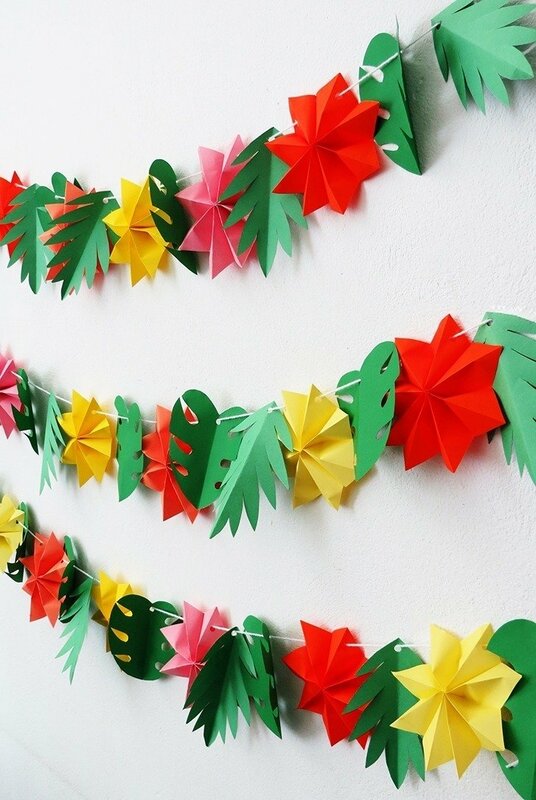 And again, make a all bunch of leaves! Take a long piece of yarn, and pass the flowers and the leaves thought it! 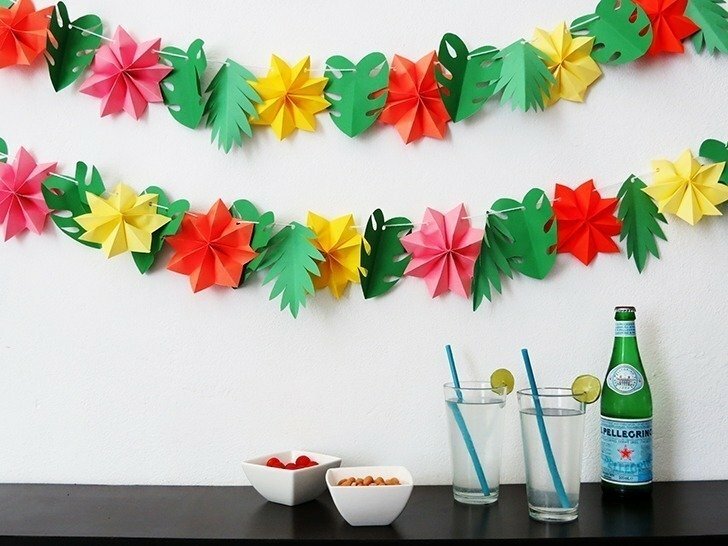 Hang you garland and enjoy your party!